Unpatchable 'DoubleAgent' Attack Can Hijack All Windows Versions — Even Your Antivirus! What's worse? DoubleAgent exploits a 15-years-old undocumented legitimate feature of Windows called "Application Verifier," which cannot be patched. "DoubleAgent gives the attacker the ability to inject any DLL into any process. The code injection occurs extremely early during the victim’s process boot, giving the attacker full control over the process and no way for the process to protect itself." 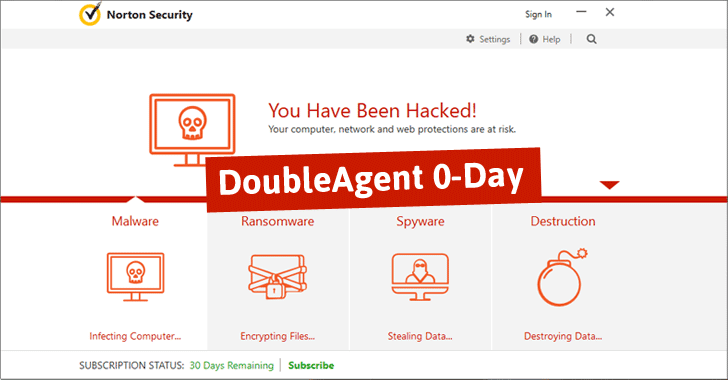 In order to demonstrate the DoubleAgent attack, the team hijacked anti-virus applications -- which is the main defense on systems to prevent any malware from running -- using their technique and turn them into malware.